Hansel from Basel pierrot crew socks in colours of black and blue. 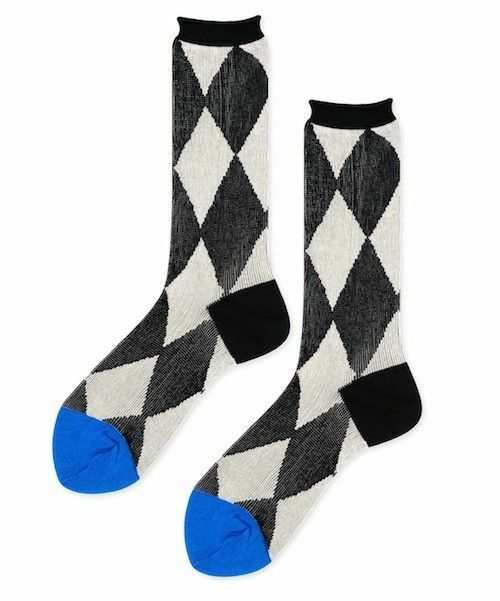 Socks composes of 70% cotton and 30% nylon. Made in Japan.